This is a Tradin System intraday trend following with three indicators of trend direction. with profit target predetermined (12-25 pips) that depend by time frame and currency pairs. Silver Trend with Brian Trend Trading System great tradinid System simple and effective. Share your opinion, can help everyone to understand the Silver Trend with Brian Trend Trading System. 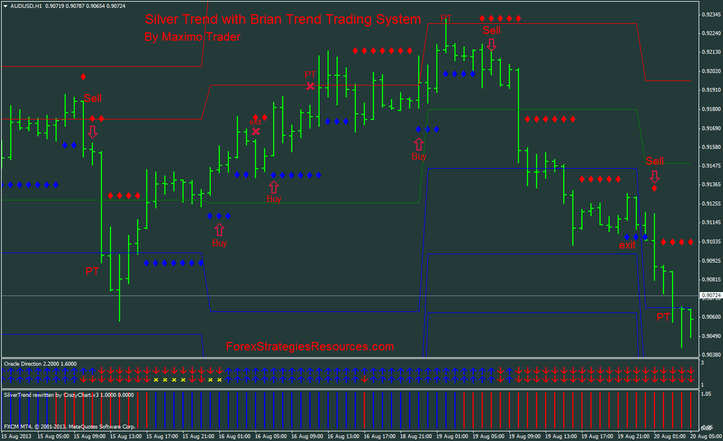 Silver Trend with Brian Trend Trading System: This System is also good for tradig with binary options. 51# 5min Breakout - . 138# 5 min Momo Trader - . 95# 5 min Method -..
126# 5 min Trend Follower ..